If you're not already following the ongoing viral for David Fincher's The Girl with the Dragon Tattoo, here's even more reason to be. 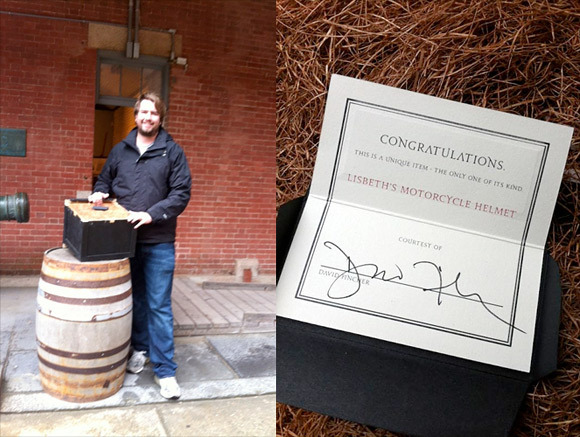 Someone in San Fran recently picked up the real prop motorcycle helmet worn by Lisbeth Salander, played by Rooney Mara. The image was revealed on the What is Hidden in Snow viral site where every so often, connected with Mouth Taped Shut, a GPS location is posted and the first person to make it there picks up an extremely rare, collectible item. For the first few weeks it was one of the framed flowers from the film, now it's a helmet, and Harriet's diary was also found recently, too. Damn! So how did they find this and how can you participate? Well, if you're not already following Mouth-Taped-Shut.com on a daily basis, that's where you should be checking. Each new image posted there usually has a clue or code hidden within, and the commenters on each post are fairly helpful. The image will unlock a new domain name which gets plugged into WhatIsHiddenInSnow.com (for example /victim). From there, once each new location goes up, you've got to be the first to make it to the GPS coordinates listed before anyone else, and you'll pick-up a package, usually labeled to Henrik Vanger (Christopher Plummer in the film). Even if you're not following all of the individual story elements of this viral, since there's a lot of tricky deciphering and decoding in relation to each new image, you've got to at least recognize how cool the items being picked up are. I have no idea how they got David Fincher to agree to give exclusive props from the film out as fan prizes for those following this viral, but it's so awesome to see. Don't forget, each package includes hand-signed note from Fincher confirming its authenticity. Don't miss out, this stuff is incredibly rare and I'm already jealous of everyone who's picked one up. I've been following this viral closely and will definitely continue watching, as all of this might be leading to something big in the end. Only time will tell! There's also been items found in London and France so far. Wow, congrats! Cool thing to find! Since Trent Reznor is one of the soundtrack composers and the man when it comes to viral promotion (ARG) I am sure it was easy! can anyone help me to find somewhere this helmet? I realy want to buy it! 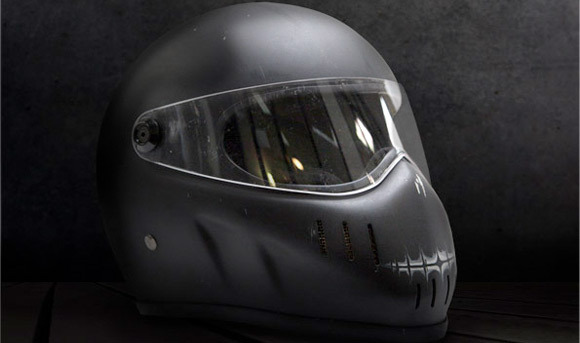 Where can I find this helmet in the U.S ?